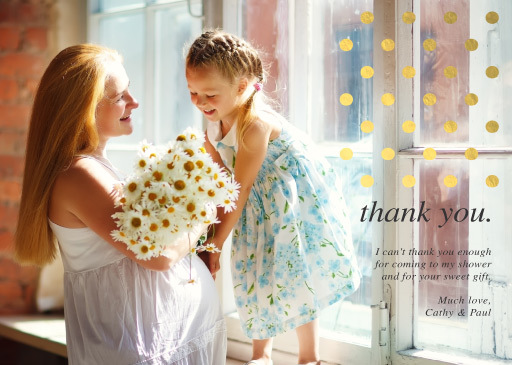 This fantastic A Sweet Thank You collection by Aussie designer Owey Cocopoulos was inspired by a thank you card with golden dots on its side. a perfect way to say thank you for coming to a baby shower. inspired by photos we have taken to make it an unforgettable moment. and would look fantastic for those after a sweet moments styled design. 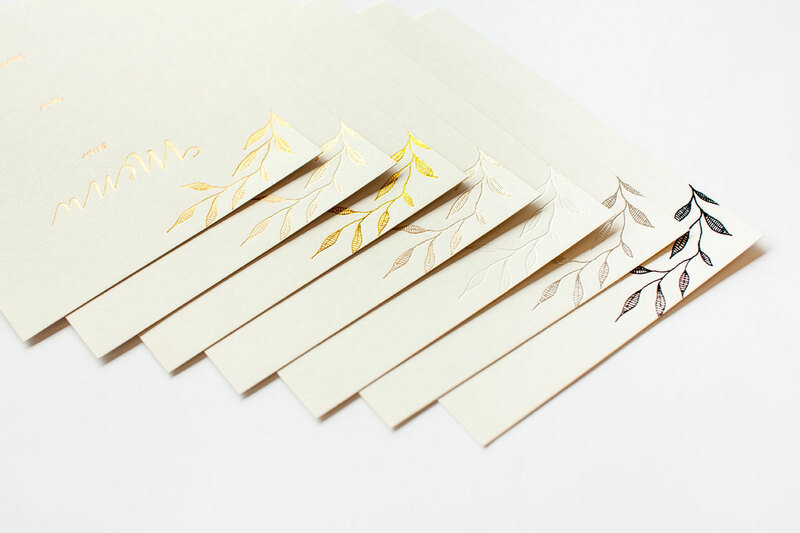 This Baby Shower Thank You card from the larger collection looks amazing when printed using Foil Stamped and here at Paperlust we think it looks best on Paperlust Foil.